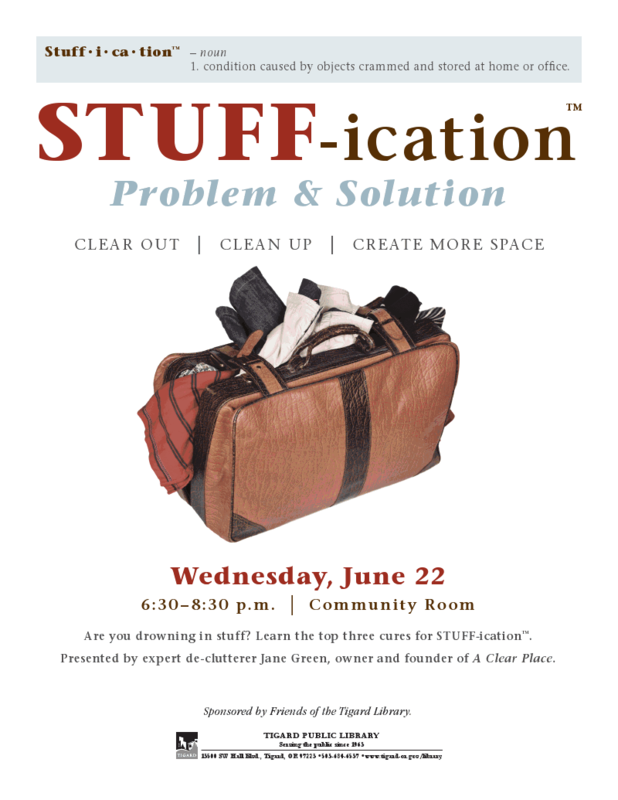 Stuff issues come in all shapes and sizes … and so do STUFF-ication workshops. Find out about upcoming learning opportunities in your PDX area. A little something for everyone – all at no or low cost! Click here to view events and dates. Previous Article Get Clear for Summer!